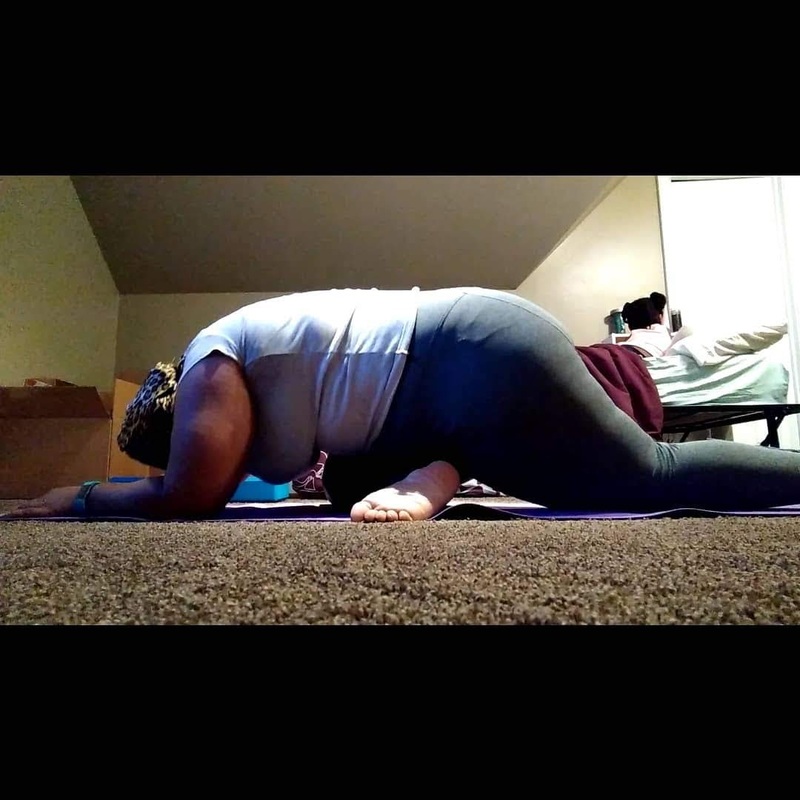 I feel like I've made progress with my Dolphin Pose. The top photo is from May 2018 and the bottom is from this September 25. It still takes my breath away, but my core has gotten stronger. 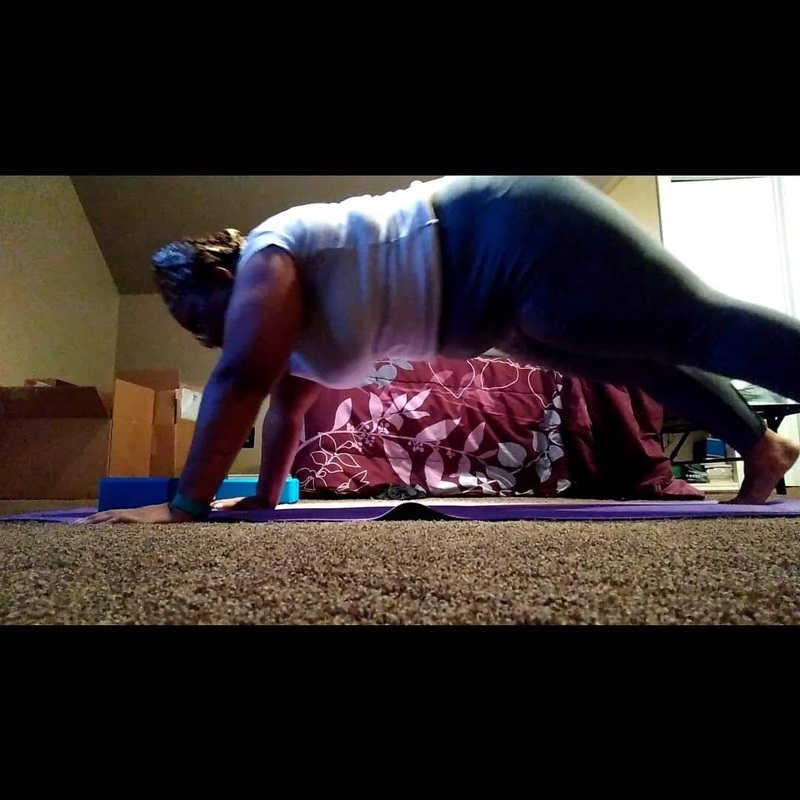 I fell right after I took the pic lol but I'm still proud of myself. I feel like I've made some progress with my Pigeon Pose (Eka Pada Rajakapotasana) because I couldn't do it at all a few months ago. Now I'm just trying to transfer this same energy to other areas of my life. 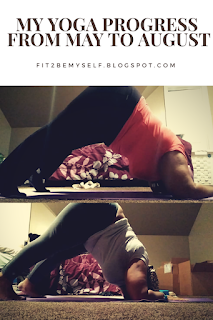 I began practicing because I wanted to be more flexible and I wanted to try something new. 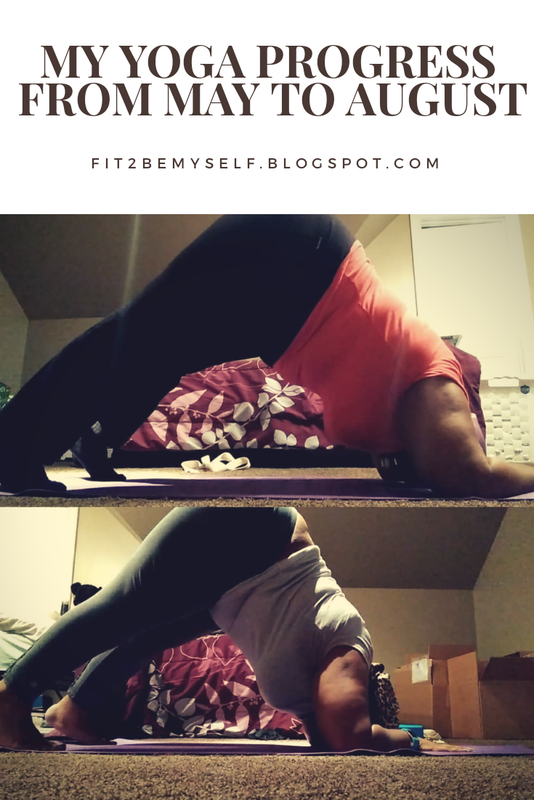 I had seen Jessamyn Stanley, a plus size yoga instructor, featured in an article online and I was so inspired. Not inspired enough to take action right away that day, but enough to continue following her on social media and YouTube. 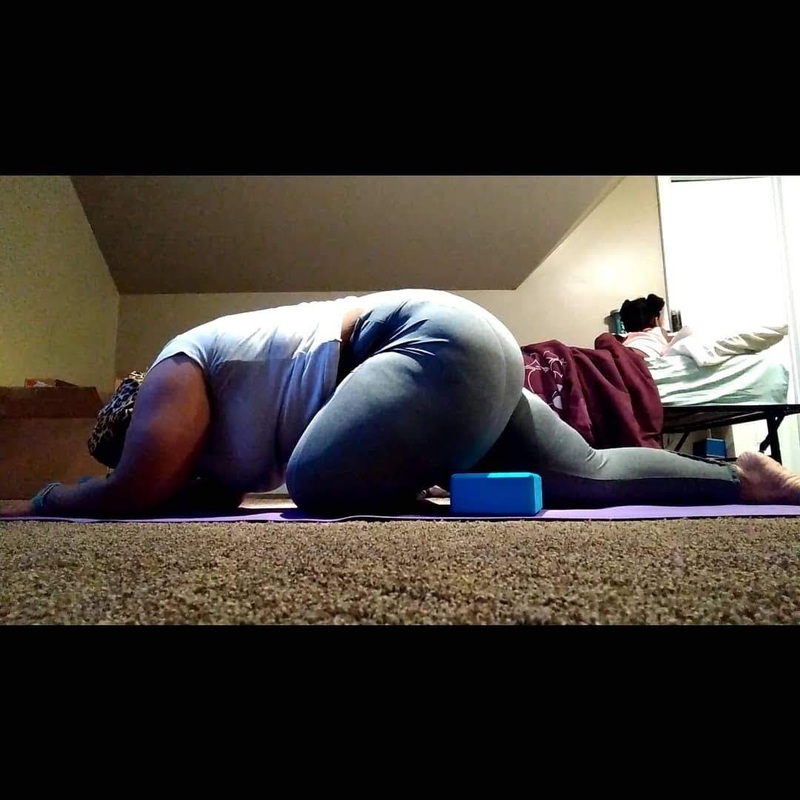 Eventually, I worked up the nerve to buy a yoga starter kit from Target and try one of the videos she has posted on YouTube. The first pose she did, child's pose, was a little more uncomfortable than it looked, which let me know exactly how unaligned I was. The video was only around 10 minutes, but after spending the past couple of months training serious weights and only doing some light stretching, my body felt amazing. It has been a few months now since I first started and I still haven't fully found my flow yet. I have yet to master the art of planning. I usually have no idea which asanas I want to attempt or which instructor I want to follow until I see it. I do try to get up and practice for at least twenty minutes most mornings. Over the past year, I've tried to learn what works for me and do what feels good and fairly healthy. Routine has never been my thing, but I'm working on changing that. Maybe I don't need to change it. I'm satisfied with what I've done so far. Follow me on Instagram for more of my posts. I have a few beginner level fitness dvds I need to start watching. But I think I will start with some basic beginner level yoga poses to help with the flexibility. These photos are very motivating. Thank You! Thank you for finding them motivating! That helps to keep me motivated.